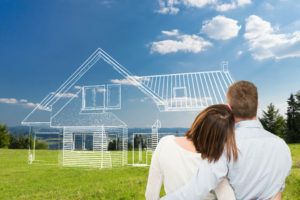 With all of the options available for home buyers, some people might ask “Why build a custom home?” There are many reasons why people choose to build custom homes, and you may be surprised to learn that custom homes are not just for wealthy people. In fact, building a custom home can actually save money while giving you everything you desire in a home. What is a customized home? In many new subdivisions with pre-built homes you will likely notice slightly different versions of the same house. There might be some variations such as siding color and roof styles, but essentially every house has the same interior and exterior components. There are builders who allow buyers to choose from various plans and personalize their homes by selecting siding colors, counter-top materials, kitchen cabinets, and flooring, however this is not true customization. These are mostly decorative preferences. A custom home goes beyond simple cosmetic changes because it is designed and laid out to fit an individual or a family’s lifestyle. When you decide on a custom home, you can work with a builder to rearrange specific elements of the plan. Custom homes can be made more functional because of your ability to make major changes in the layout, allowing you to make the most of your space even if you are building a smaller home. You might decide to reduce the size of one room to add more space to another. If you like built-ins such as bookcases or window seats with storage, you can customize your home to get those amenities. If you own a lot, and there are no restrictions, you can choose how your home will on be placed on the lot. If a deck is not what you like, you can choose to add a lanai or covered patio. 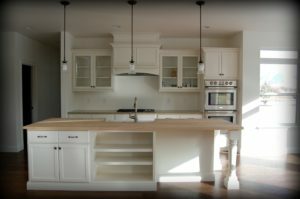 When you build a custom home, you can give it character similar to older homes by adding touches such as unique crown molding and other exterior or interior millwork. Building a custom home also gives you the freedom to choose higher quality appliances. These are a few reasons why many people choose to build custom homes. Anyone in charge of yard work knows how much work caring for a lawn can be. There is the weekly cutting, watering, fertilizing, and weeding to consider. Not only are these things time consuming, they also cost money. From buying lawn care products like fertilizer and weed killers, to the cost of your water bill to keep that grass green during dry spells, artificial grass will pay for itself before you know it. 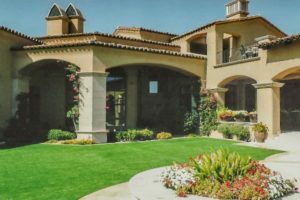 Artificial grass landscaping reflects the current trend towards sustainable and eco-friendly home care as it reduces water usage and weed killer and fertilizer run-off into sewers and drainage systems. 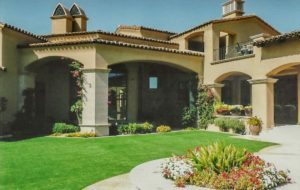 The number-one perk of artificial grass landscaping is that there is a one-time cost up front but no maintenance costs after. Most synthetic grass options range from $2.00 to $3.00/square foot. While it can be a hefty price tag up front, especially for large areas, there are none of the maintenance costs associated with real grass, nor the stress or additional time demands of lawn care. If you’re going away on a holiday, there is no need to worry that lengthy grass would tip off would-be thieves that the house is empty. Your savings in water bills alone would eventually pay for that initial cost. Many artificial grass stores offer free in-store pick up and nationwide delivery. Perfect for residential or commercial locations, there are a wide variety of grass types and styles to choose from. Many companies even offer free samples so you can try them out in the location. Synthetic grass isn’t just for homes; it is being used in public parks, playgrounds, golf greens, and athletic fields. It is a highly versatile product that maintains its looks for years to come. Most companies offer the service of installing the artificial grass landscaping so there is no worry or stress to the buyer. Just sit back and watch your landscaping dreams come true with a minimum of effort. Join the trend of what has become an eco-friendly alternative to the hassles of real grass and lawn care. Artificial grass landscaping is not only practical and low maintenance, it is affordable and sustainable. Are Home Inspections Worth The Investment? Home inspections are regularly performed to determine if a home requires additional repairs or maintenance prior to being purchased. Are home inspections worth it, is a common question that many buyers ask. This depends on whether the benefits of the inspection outweigh the costs. Home inspections provide the opportunity for a seller or buyer to identify existing problems with a home, prior to the close of sale. Realtors will commonly include a home inspection clause in their contracts. This clause mandates the seller to have an inspection completed before a sale can close. New construction inspections differ from older home inspections. For new construction, the foundation, drywall, and a final inspection of the entire premises will be conducted. Buyers and sellers can choose to use a local inspector to take an in-depth look at the property. 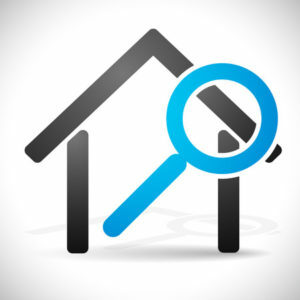 During an inspection, all interior and exterior surfaces of the home will be checked. Bathrooms will be monitored for leaks. 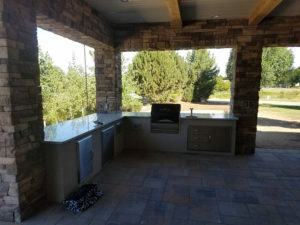 The electrical system will be checked, ensuring that the wiring, outlets, and GFCI connections are functioning correctly. The foundation will be analyzed to ensure that the home is not abnormally settling. The garage, carport, heating and ventilation systems, are also inspected. In some cases when appliances are included in the sale, the appliances will also be inspected to ensure they are working correctly. The plumbing, roof, and walls are also included in the inspection. If anything is found during the review, it will be decided at that point who is required to fix the issue. The costs for an inspector to come to your residence to inspect your property varies from state to state. An average inspection will last three hours. During the inspection, it is wise to accompany the inspector and ask any questions you may have during the process. Sellers and buyers can benefit from having a home inspection conducted. Sellers will be advised of any problems that exist with the property. Buyers will also be made aware of the responsibilities they will be taking on if they choose to purchase the home. Are home inspections worth it? Yes, they are, for all parties involved. How Much Does A New Fence Cost? If you are considering replacing the fence, or adding a new fence to your home, you may have wondered… “how much does a new fence cost“? The majority of houses have some type of fencing. A fence can serve as a property line marker, a security feature, a decorative element or a combination of these things. On average, new fences cost from $2600 to $8000, based on the type and size you purchase. There are numerous options, with regards to contractors and fence designs, to pick from in various price brackets. Many professional fence installers bill their customers for each linear foot. This charge includes the cost of materials and labor. Bear in mind that some fencing materials have specific associated costs, linked to the complexity of their structure. 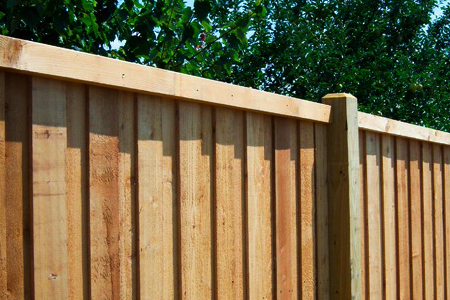 The cost of installing wooden fences varies, based on the wood type used. Chain link fences are particularly affordable. Materials like wrought iron and aluminum are the most expensive. Vinyl costs more than chain link or wood, but easily makes up for it due to low maintenance costs and longevity. Prior to starting the installation, you need a reliable estimate for the project. You should get in touch with your local council and ask whether you require a permit. Typically, permits cost around $800. You can leave your fence contractor to supply the parts and pay for them later, or obtain some parts yourself. Although your contractor will markup his or her fee, they get price reductions that could still result in you making an overall saving. If your property is built on sloping land, your fence installation costs might increase, because the installation will be harder. Also, you will need to telephone 811 to confirm that your fence does not obstruct utility services. Occasionally, newly installed fences can hit underground wires or pipes. If you fail to do this, you might be landed with expensive repair bills in future. As you can see, there are a multitude of factors to take into account, when installing a fence, which can affect the total project cost. For this reason, before you proceed, it is always wise to speak to a few different installation firms to get quotes. This way, you will have a good idea of how much you will need to budget to build your dream fence. Some of our best memories came from our childhood kitchens. Whether that was baking gingerbread cookies with Grandma… or just eating them… this custom kitchen build is only missing your own personal touch. From cake stands filled with butter cream cupcakes to mom’s famous lasagna, this build felt very much like an add-your-own memories eatery where holiday moments (and everyday wonders) grew wild on the vine. Your front yard is much like a book’s front cover in many ways. It is what the world sees first when they pass by it. However, your backyard is much like the exciting twists and turns that you only know if you know the story and the characters. Picture it… bare feet dripping wet from the pool, leaving puddles of chlorine and summer all the way back to the backyard door. Nobody else gets to take that path but you… make it special. We think this one is equal parts whimsical and functional. This outdoor build has a sort of Mediterranean, communal vibe where friends gather after working all day in the hot sun for a cold tropical drink. Instead of taking that trip around the world, sometimes it makes more sense to bring the world to you. This way, you can enjoy the big, wide world anytime you want to without ever having to leave the comfort of your home sweet home. Building a custom home is an intimate experience that allows you to create the life that you want without the need to conform to the ordinary. Ask your home builder to work with you to create a home that is truly your own and, in every way, just as unique as the people inside it. 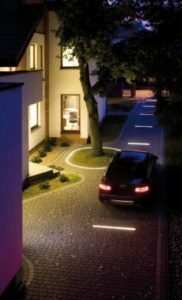 Why Consider Using Led Lighting In Your Next Home Decor Project? The traditional incandescent light bulb has been around, largely unchanged in design, for nearly 150 years. This is despite its drawbacks. High fragility and energy-inefficiency are just two of many good reasons for leaving traditional bulbs behind. Although replacement technologies such as halogen have failed to gain widespread popularity, it looks as though LED lighting might finally be the lighting solution to challenge the old-fashioned incandescent bulb’s dominance. What has changed to make this so? Traditional light bulbs are incredibly wasteful of energy, with up to go percent of the electricity used transformed into heat rather than light. 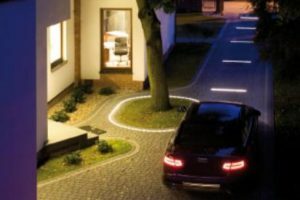 LED Lighting Systems use only about one-sixth of the energy to produce the same amount of illumination, with obvious savings in electricity bills as well as benefits for the environment. Incandescent bulbs are extremely fragile. Not only are they easy to damage through rough handling but they also fail relatively quickly under normal use. An old-fashioned bulb will typically last about 1,200 hours before burning out, while a LED lamp will last for at least 25,000 hours. In fact, LEDs rarely fail completely; they simply become less effective as they near the end of their useful life. One reason for traditional bulbs’ long-standing popularity is the quality of the light they provide. Most people find incandescent light gives a warm and comfortable glow, while alternatives are often seen as harsh, cold, and clinical. Advances in LED technology have largely solved this problem, and modern lamps closely mimic the color temperature of ordinary bulbs. Some of the best fittings can even vary the color output to suit your mood, with illumination ranging from a candle-like warmth to that of a bright summer’s day. Early LED models required large heat sinks to cope with the excess energy produced by the electronics behind the lamp. Unlike traditional bulbs, little of the LED’s energy is radiated away as heat; this limited the spaces in which the older LEDs could be installed. Thanks to clever design advancements, this previously major obstacle have been overcome, and bulbs are now available that can be dropped straight into traditional fittings.